How do you pick the right pieces for a capsule wardrobe? This new idea of a capsule wardrobe has been spreading like wild fire, so it totally makes sense that you’d be asking this question. First, let’s just define what a capsule wardrobe is, shall we? It’s a collection of 35-50 staples that are presumably versatile enough that they’re the only items you need in your closet. This includes tops, outerwear, bottoms, dresses and shoes (and excludes accessories and special occasion items). Here’s a great explanation of a capsule wardrobe, as well! It’s important to have a strong sense of your personal style before selecting a capsule wardrobe. This doesn’t necessarily mean you need to decide if you’re boho or glam or sporty. For me, style is more about noticing the types of pieces you gravitate towards. Do you like certain colors? Certain neutrals? Do you gravitate towards certain textures like lace or plaid? 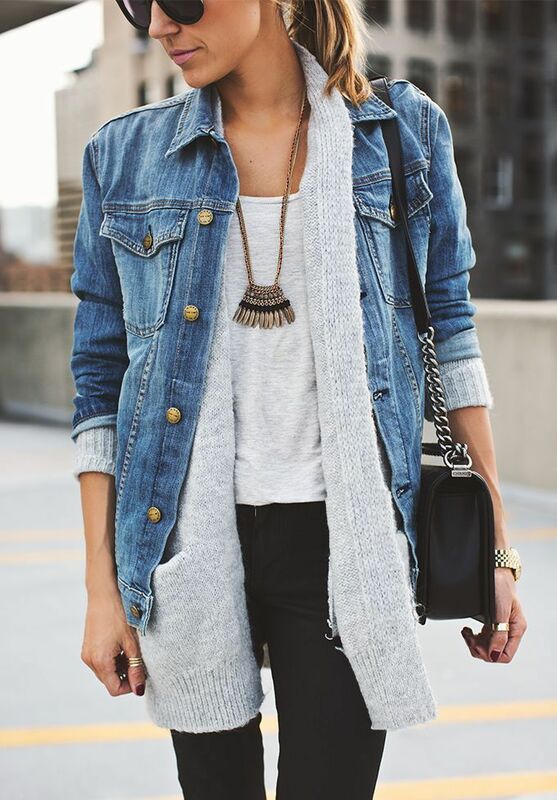 Do you tend to wear more simple items or do you go for bolder pieces? Your capsule wardrobe is all about items you feel comfortable mixing & matching and wearing all the time, so it’s important that you choose pieces that fit your style (what it currently is, not necessarily what you wish it were). It’s just as important to consider your lifestyle. Do you work a full-time, corporate job? Then make sure you consider work attire. Are you in college and have more flexibility with your wardrobe? Do you travel a lot? Have kids? All of these things affect your capsule wardrobe since these are the pieces you’re going to rely on on a day-to-day basis. Ready to create your capsule wardrobe? The queen of the capsule wardrobe is clearly Caroline of Un-Fancy. In fact, she’s created an AMAZING step-by-step guide to creating yours from scratch. Simply download her worksheet here and get started! I’ve never heard of a capsule wardrobe, but I love the idea of it! I’m in need of a huge closet clean out, so I’ll definitely keep this in mind.